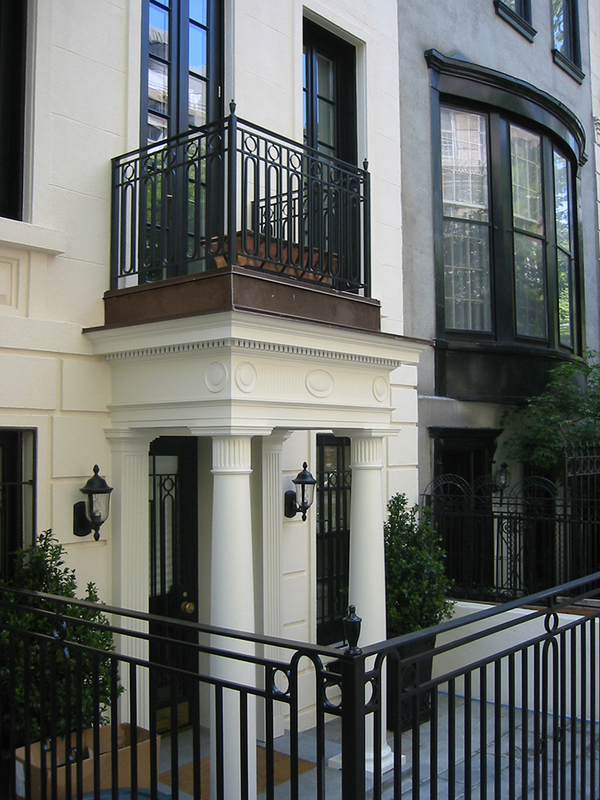 The four story brownstone is located within the Treadwell Farm Historic District, one of six such designated districts on Manhattan’s Upper East Side. It is composed of four story row houses built between 1868 and 1875 in Italianate and Neogrec style. It had gone through a number of renovations since that time, it had a stoop at one point and it had also been re zoned into a multi-family dwelling. 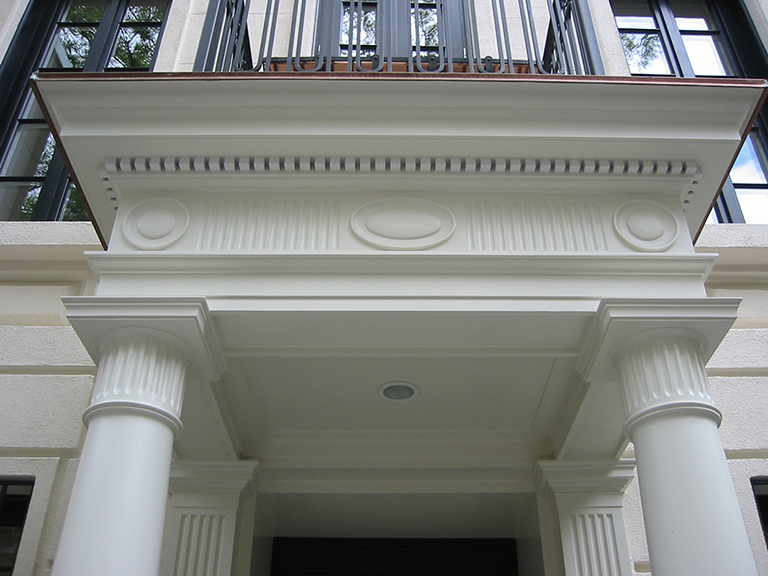 The main sticking point was the reorganization of the front façade and restoring its grandeur. Changing the entry way to the middle gave the opportunity to have a straight axial view to the garden, which brought in light. It also gave a center, a symmetry and a center hall. 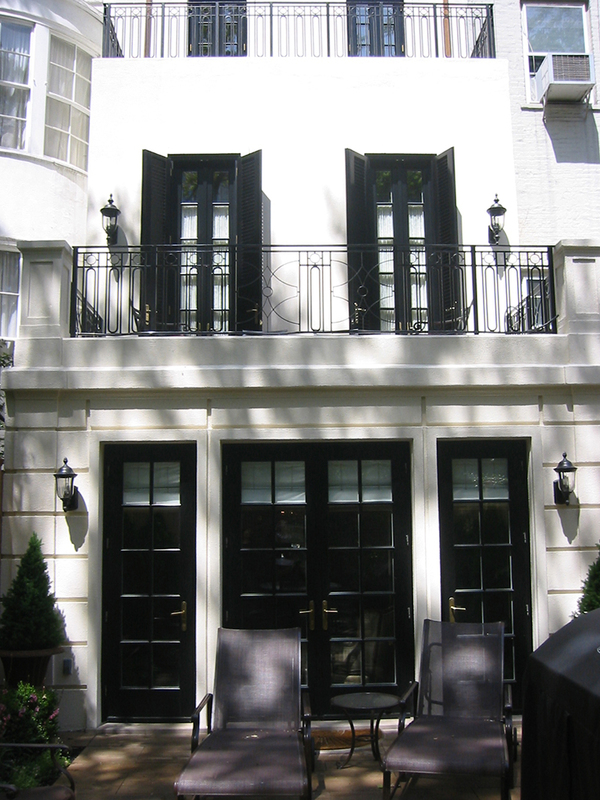 Adding an entrance portico, rather than just a door frame, was crucial to the design as it created a transition from the interior to the exterior space, as well as choosing a chic color scheme of black and white. 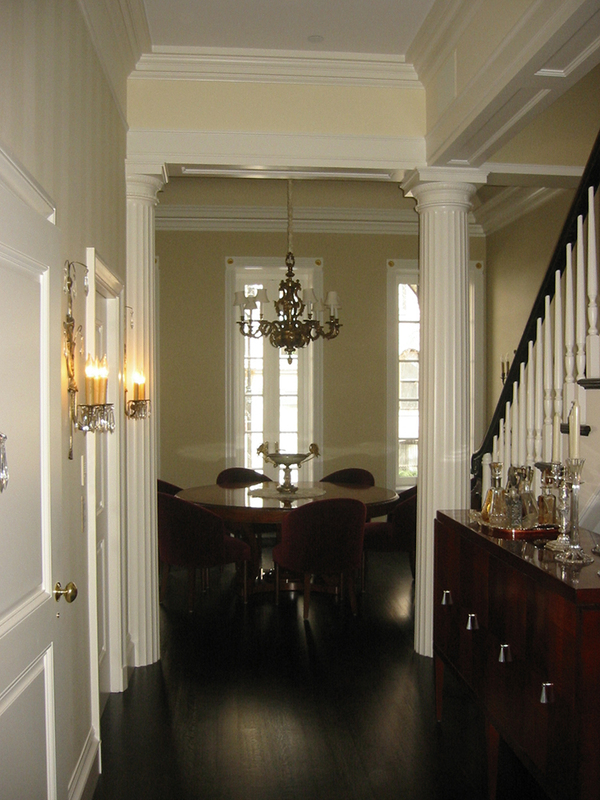 The client was moving into the city from the country and was looking to expand the space. We created and addition towards the backyard that enlarged the kitchen area at the basement and provided a larger living room above with a terrace. We also added a rooftop addition with additional exterior space, a sanctuary far removed from street level.